Location! Location! A fantastic opportunity to acquire a large studio apartment in trendy Hoxton. This studio offers doorstep access to shops, restaurants and the renowned east London lifestyle. This spacious studio (408 sq ft / 38 m2) is within a purpose built block and comprises of a roomy hallway, bathroom, big studio room with sleeping area and a separate kitchen with integrated appliances and a bathroom. There is ample storage throughout. The studio room has large windows offering plenty of natural light and a balcony opening onto the lovely green space of Shoreditch Park. 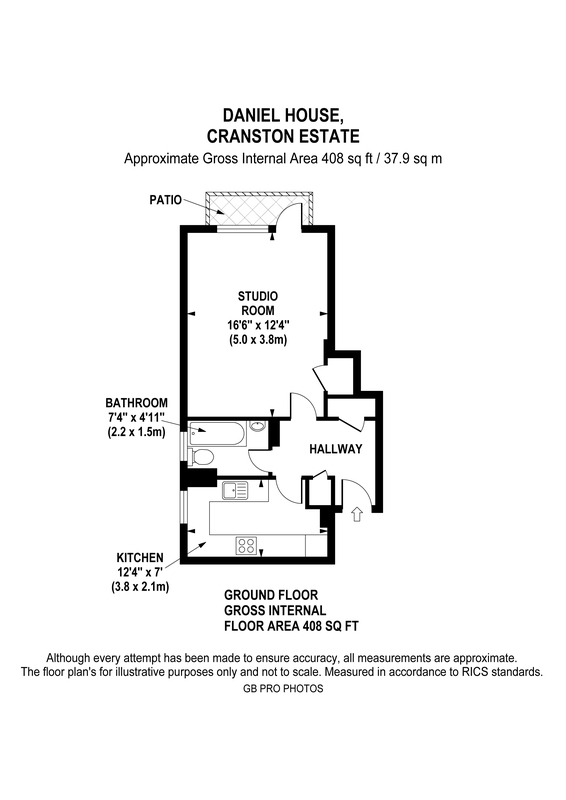 The studio flat would be ideally suited for a property investor wanting to do a buy to let.